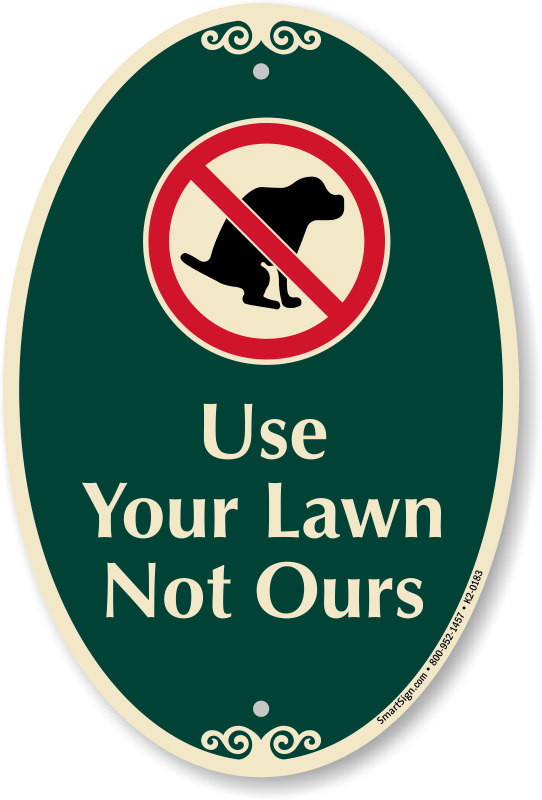 Keep your private lawn clean from dogs' waste. 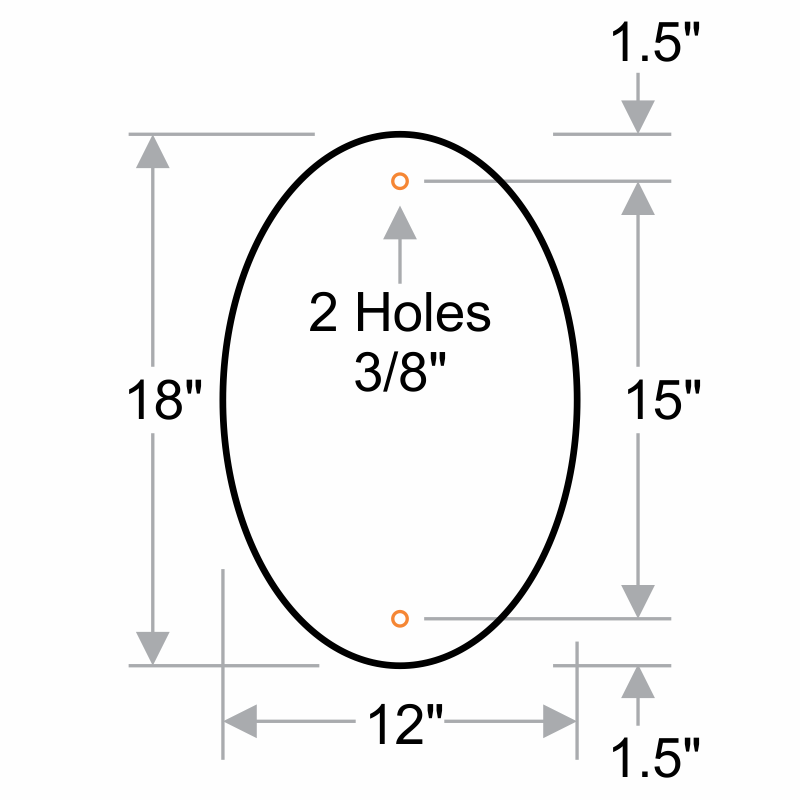 Use this 18" x 12" SignatureSign available in selected color schemes. What I have been wanting to say. The sign says what I wanted to say to my neighbors. Very nice sign, well made with nice finish. Gets the message across without being too offensive. So far seems to be working. I have a beautiful yard out front and in back. The back yard is fenced in for my 3 Dobermans to roam freely and I clean up poop stringently to keep a clean yard. My neighbors who also have big beautiful yards walk their dogs and allow them to crap on my front lawn! I don't want their dog's parasites in my lawn nor do I want them trespassing, so it is illegal for them to let their dogs use my yard as their bathroom!!! I love this sign as I nailed it to my tree for all to see! I hope they get the point and show their neighbor some respect by not trespassing or littering! Very well made and fancy looking sign and quite large. Draw back for me is that I wish the dog didn't look so weird, if the dog from some of the other signs was on this one it would be perfect.